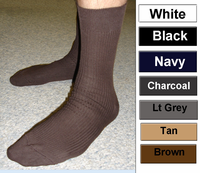 1 - pair/s $9.50 ea. 4 - pair/s $8.25 ea. 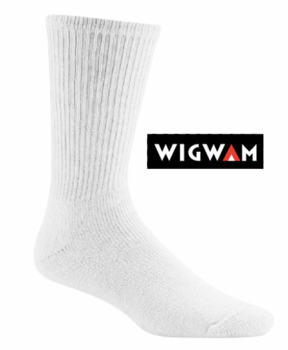 Wigwam King Cotton Crew socks are heavy-weight in soft 95% Combed Cotton and 5% Stretch Nylon. 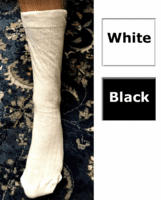 King Cottons offers the stay up ribbed leg, fully cushioned foot, formed heel, and extra smooth toe seam. Color - White. Quality made in the USA.